Me Too! - for Parents. Encouraging the parent (or teacher) to wonder with the child what is going on when we come to Eucharist. 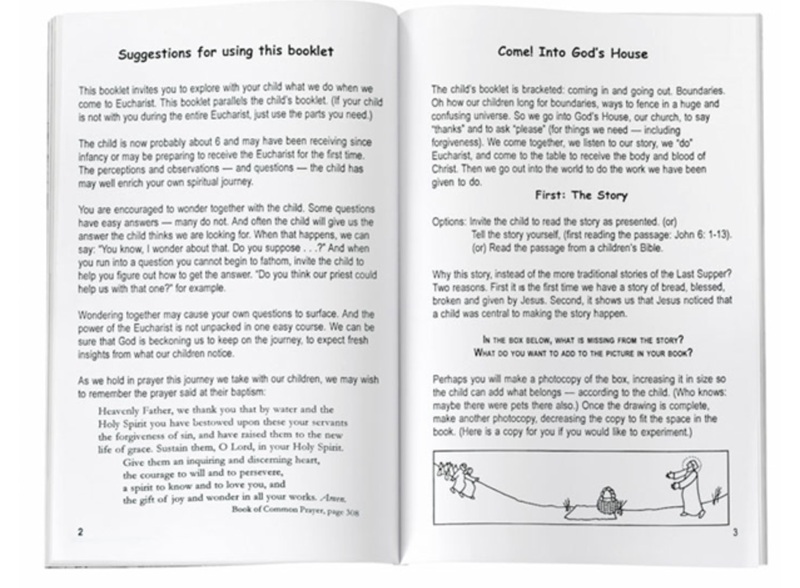 Questions are suggested that will help the child make connections between the stories we have as a family and the stories we hear at church. The child's fresh insights will enrich the adult's journey. Me Too! 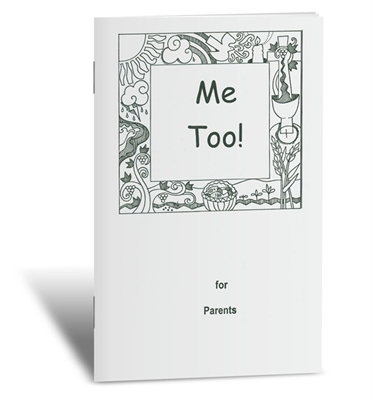 (parents) with Victoria Bergesen's illustrations, 20-page booklet (5½" by 8½"). Sample page HERE. Volume discounts: 2-4 copies: $4.50 each; 5+ copies: $4.00 each. Plus shipping.